Want to change Alexa's name? Just ask her! By Daniel Nations, Life Wire. Amazon's Echo series of smart speakers are bright enough to know when you are talking to them even if you have more than one. The speakers use a technology called Echo Spatial Recognition to determine the closest Echo device to the voice, so even if you have an Echo in the living room and in the den, Alexa will only answer with a single device when summoned. Unfortunately, this technology doesn't work on humans, so if you have a person in the household with the name "Alexa" (or even something similar like "Alexia" or "Alexander"), you may want to change Alexa's name. 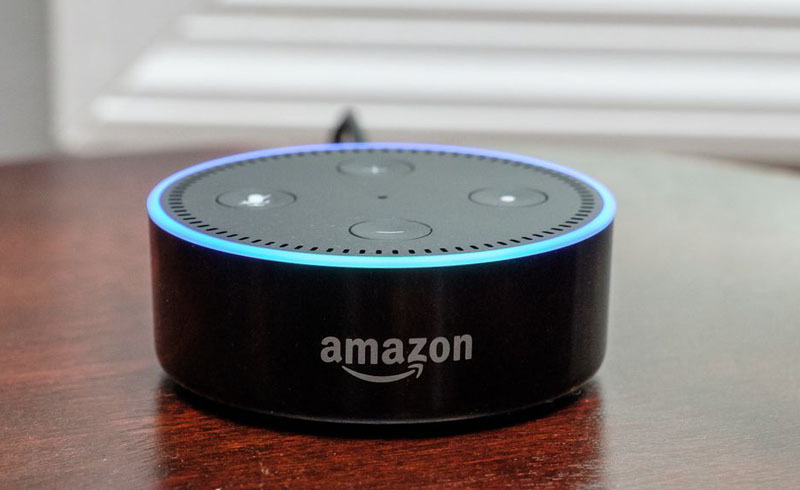 While it may seem like Alexa is listening for her name, she is actually listening for a specific wake word, which tells her to wake up and start listening for commands and questions. And the best part is that you don't need to go trampling about in settings to change this word. Just ask Alexa to do it for you. "Alexa, can we change your name?" She will ask if you want to call her "Amazon, Computer or Echo." Respond with the new name. Hopefully, we'll be able to call her HAL in the future, but unfortunately, she cannot go by a custom name just yet. But the fact that she can go by the name 'Computer' shows that Alexa has quite the sense of humor. If you decide you aren't quite ready to change Alexa's name, say, "Cancel." What if you aren't around your Amazon Echo series smart speaker and you want to change wake word? Or perhaps you think it might offend Alexa to ask her directly to change her name and you don't want to get on the bad side of our future overlords. No problem. You can also use the app on your smartphone or tablet you used for her initial set up. Launch the Alexa app. Alternatively, you can visit https://alexa.amazon.com on any computer. Tap the Echo device whose name you want to change. Scroll down this list and choose Wake Word. If you have never changed it, the current Wake Word should be Alexa. Tap the name to produce a list of alternatives. After you choose an alternative, tap the Save button. It may take a few minutes for the Amazon Echo speaker to start responding to the new name, but she usually converts over to the new wake word in less than 30 seconds.